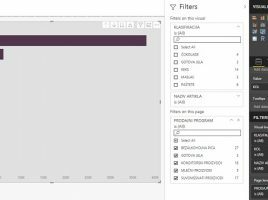 Power BI reports can be filtered at the level of the visual, page or entire model, and we place them by dragging the report dimensions into the corresponding fields on the Visualizations/Fields panel. The November 2018 update brought new filters that are now an integral part of the report, and are located in a special menu on the right. 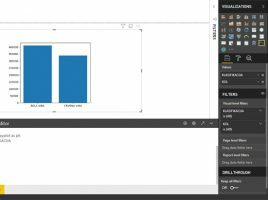 For the time being, they are still in the development phase and should, in one of the future versions, become an integral part Power BI. In one previous „recipe“ there were words about the Q&A feature that Power BI supports. Since November 2018 it has been upgraded so that it is now possible to “ask subquestions” which represent a modification of the initial query. 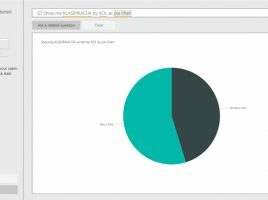 Also, this option also allows you to track the question history so, in that way, you can make interactive reports that users will adore. 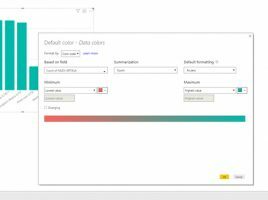 Conditional formatting is not new feature, but so far Power BI users have been able to use it exclusively in visuals that contain some sort of table. The novelty brought by the improved version of the november 2018 is that the Saturation field has been abolished, and the option for conditional formatting has been added instead. Let’s see what it brings! 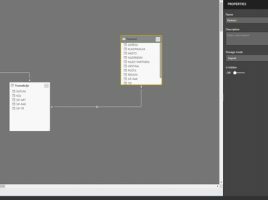 Power BI, similar to Power Pivot, has a look at the tables and their relationships. Its advantage is that, from the very beginning, automatically detects relations between tables based on the name of the column that it discoveres as keys. From November 2018 the new, significantly enhanced Relationship view is offered, so in the following text it will be about what are its features and what is new.